More than 78,282,405 beer lovers served! 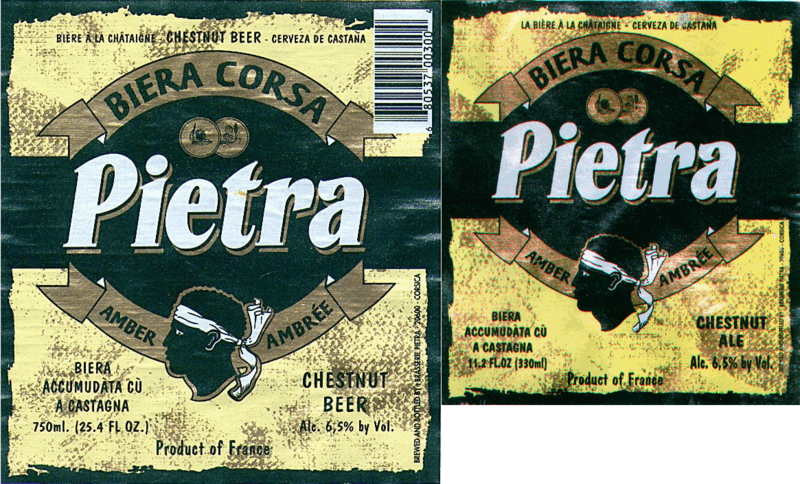 Pietra also makes Corsica Cola. Bright amber. High carbonation. Moderate foamy head. Light, fizzy, and sweet. Toasted-nut flavor on top of the caramel malt. Medium creamy body. Sweet and nutty. Nutty and sweet. Some grassy hop flavor in the finish. Interesting beer, but not very complex. Brewed with chestnut flour.